DIARY OF A PUBLIC SCHOOL TEACHER! 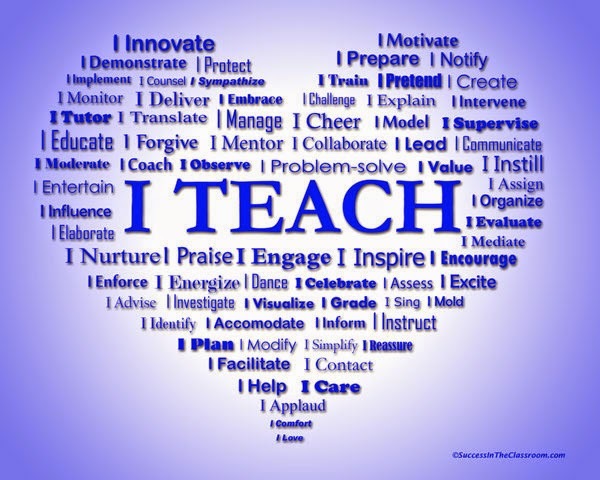 : Why I (Continue to) Teach! It's title, "Why Half of the Nation's New Teachers Can't Leave Fast Enough." After reading the comments, it's obvious that it's not just the new teachers who are ready to get out. I have been feeling that way myself, and it has absolutely nothing to do with my students. Hi This is T. It has been a long time since I have seen you and all the Plv Crew. I am at Del...High School now and am in 9th grade. I have not seen you all in over three years and have been sad that I've gone this long without contacting any of you. You all have had a big impact on my life and now at 14, I realize how much I do miss those times. Time really has flown; I've grown, gone through Middle School, gotten braces, I've been through a lot. I haven't had the time to come by, but I hope I can see you all soon. It's been TOO LONG and would love to catch up with all of you. Have a nice weekend and I hope to talk to you soon. P.S. This is my personal email if you would like to email me back and I am, if you can believe it, I'm 5'8 now. Happy New Year! My name is T. You were my third grade teacher at P.S.3. I am not sure if you will remember me, because it was so long ago. We are both mutual friends with Ms. T on Facebook. I am really happy to see you here on Facebook! You have not changed a bit. You were absolutely the best third grade teacher I had! We both moved away from Brooklyn, but I never forgot you. I moved from NY 26 years ago ...where I still live today. Tears filled my eyes after reading both these messages. They both came at a time when I needed them. They reminded me that, even with all the mess I have to deal with that has nothing to do with teaching, I will continue to do what I am passionate about, teach! And while I am teaching, I will keep in mind that I am making a difference!